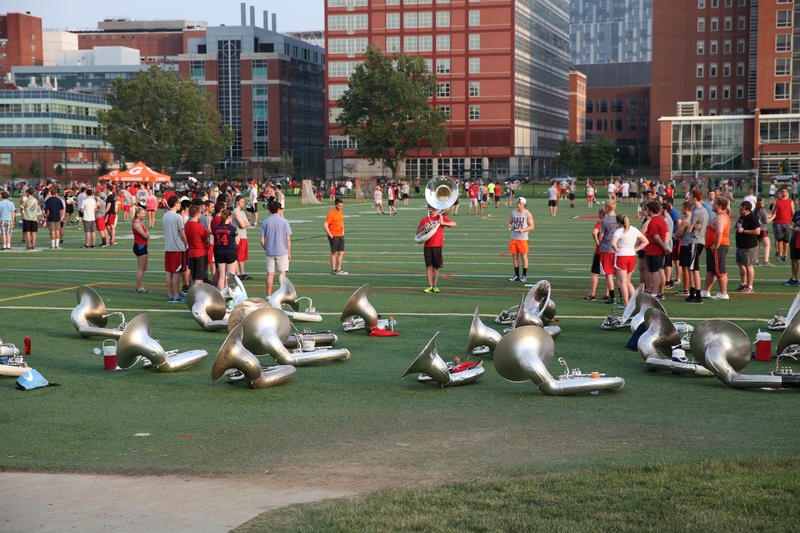 looked like the tuba section was watching a demo by a veteran. Early evening light made their shirts glow a bit. Those band members work as hard as some of the sports teams. Maybe Maura will get inspiration and become a tuba player? Right now its probably bigger than she is.